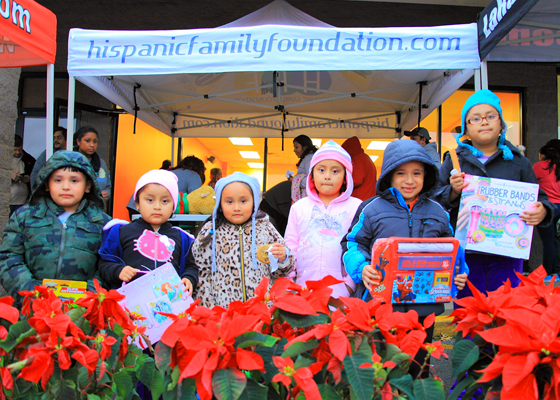 The Hispanic Family Foundation hosts numerous festivals and events throughout the year to provide a forum for all people in Middle Tennessee to understand and celebrate the Hispanic culture. These events are family-focused and revolve around sports, music, dance, food and create great memories. We believe an appreciation of Hispanic culture is achieved by creating relationships through fun experiences. Join us for one or several of our events. Check out the Event Calendar for monthly outreach programs. 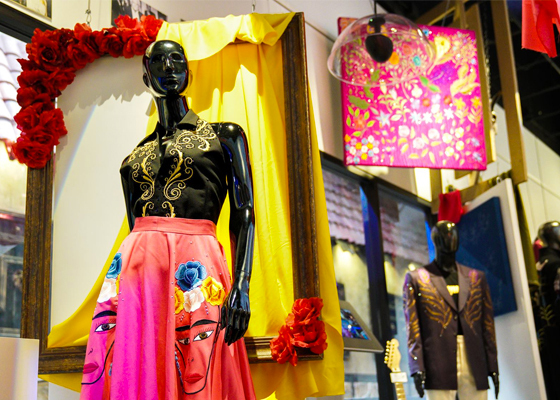 Plaza Mariachi, Ceiba Art Gallery, and the Hispanic Family Foundation held a private reception for the new Ceiba Art exhibition featuring Manuel Cuevas Couture. This exhibition will be open to the public from Aug. 10 to Oct. 1. 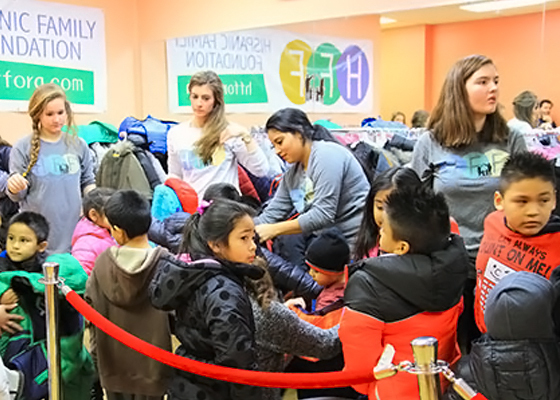 HFF annually hosts coat drives to provide children with free winter coats. The first one gave out coats to around 800 children and the second coat drive gave out coats to nearly 1,000 children. The HFF hosts an annual toy drive that gives toys to nearly 1,000 children about a week before Christmas. The Fiestas Patrias event celebrates the Independence Days of Mexico and Central America with a live music, fireworks and traditional dance. It is a very popular event with the first celebration by HFF drawing over 14,000 people. HFF hosts annual back to school events that give back packs filled with school supplies to local children at the beginning of the new school year. 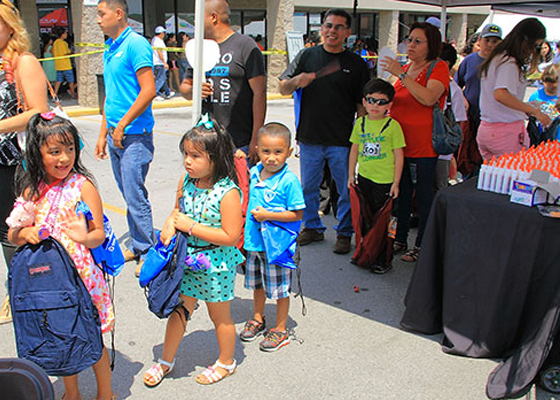 The latest back to school event was a huge success helping more than 1,000 school children. The afternoon also included music, food and entertainment. Baila Recital is an end-of-cycle event of an HFF program offered free of charge for children ages 7 and older, where we teach the values of Hispanic culture through dance, providing a space for recreation for the families in the community. HFF hosts an annual Easter Egg Hunts for local families to enjoy every year on Easter Sunday. Thousands of plastic Easter Eggs are filled for the children to find. The event also includes entertainment for the family with music, food and prizes.